Rian Johnson is still in the early stages of crafting his Star Wars trilogy, but the writer-director has some pretty grand plans for his trio of films. Johnson, who wrote and directed The Last Jedi, got candid with Digital Spy about the approach he's taking to tackle the enormous feat of crafting a brand-new Star Wars story from the ground up. While his trilogy may not include any faces fans are familiar with, it will sizzle with the signature spark and spirit of the space-faring franchise. "I'm looking at everything right now. I'm honestly just in this very nice 'Okay, what is this thing going to be?' phase. Really, the only goal I have is to think about how Star Wars made me feel as a kid. And that's it," Johnson explained. "I'm trying to capture: what is that, if it's not iconography that we recognize, necessarily, from the original trilogy? What captures that spirit? What can be that for a kid who's never heard of Star Wars? It's getting back to the very fundamental questions of what makes this what it is." For as many Star Wars enthusiasts there are in the world, there exists an equal number of opinions as to what exactly the true spirit of Star Wars actually is. With the release of director J.J. Abrams' The Force Awakens in 2015 and with Johnson's The Last Jedi in 2017, an aggressive minority of fans voiced their disdain for seeing women included in the narrative. Others found fault with how The Last Jedi depicted Mark Hamill's iconic Jedi master Luke Skywalker, arguing that it went against what franchise creator George Lucas would have done with the character. 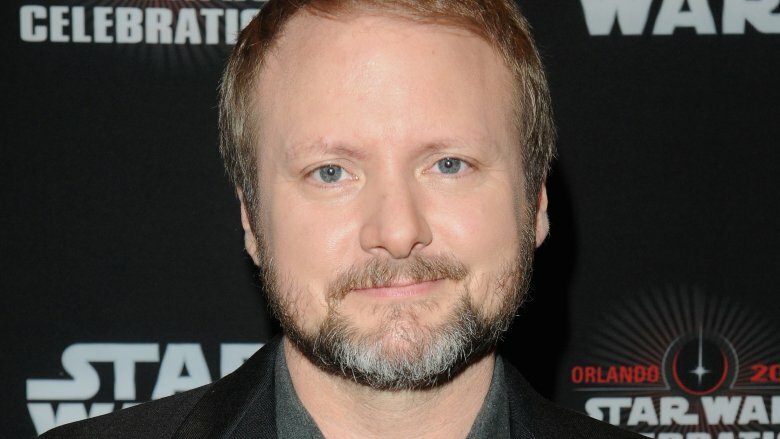 However, Johnson has taken the backlash with a grain of salt and a smile, stating that the majority of the response he's gotten to his vision of Star Wars has been positive. He added that there can't be good feedback without criticism, and he welcomes both. "Being out there on social media myself, I'm getting the proper perspective of, you know, there's this much [response], and 90 percent of what I've been getting has been so lovely and wonderful," said Johnson. "And then also just knowing that that's just the flip side of the coin. You can't take the good stuff without realizing that with that same passion, you're going to have people that are upset about stuff, but that's not necessarily bad; it's just both sides of the same coin of people really caring about this. You can't take the good without the bad." Johnson concluded, "When you make a movie, you only pray to God that you get this kind of passionate reaction to it. It's been really cool." It's certainly great to hear that Johnson plans to tap into the heart and soul of the Star Wars franchise for his upcoming trilogy in hopes of recreating the magic of the original three movies. That the filmmaker is able to consider both sides of critical reception — neither basking in the praise nor letting negative reviews affect his creative process moving forward — makes the idea of a Johnson-backed trilogy all the more exciting. We can't say for certain when Johnson's Star Wars trilogy will officially launch, but only one main saga installment – Star Wars: Episode IX — stands between us and the future of the franchise.